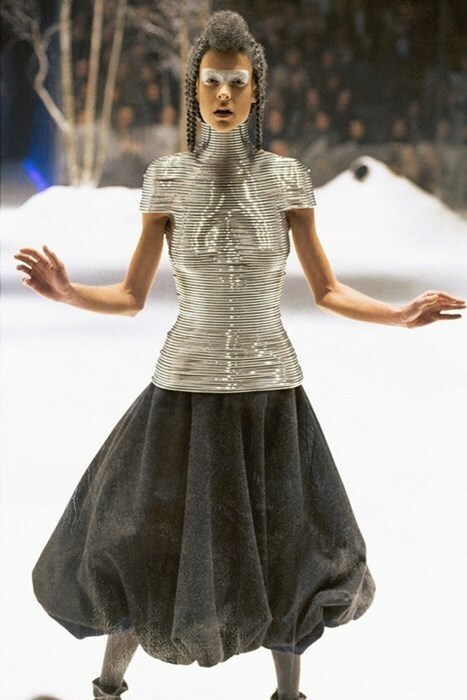 Shaun Leane has revealed the story behind the iconic ‘coiled’ corset featured in Alexander McQueen’s AW99 show. The corset is made from 97 handcrafted aluminium coils. Because Leane was only able to make eight coils a day, the piece took an enormous amount of time to create. When it came to the show it took 15 minutes to put onto model Laura Morgan – and almost as long to take off. Leane collaborated with McQueen throughout his career.